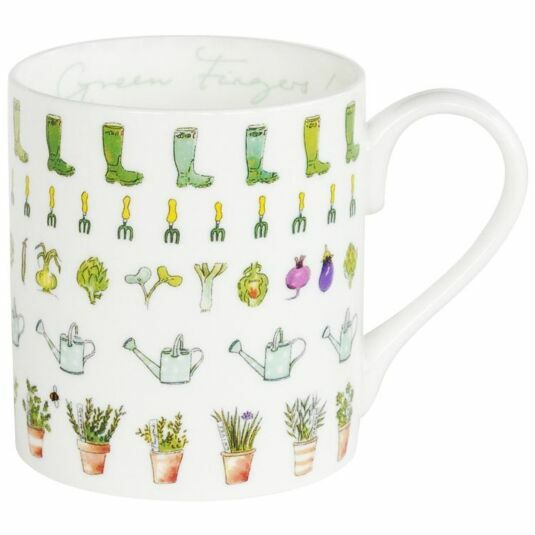 Part of Sophie Allport’s collection of fine bone china and kitchen textiles, this mug is decorated with beautiful illustrations of all the gardening essentials such as wellington boots, trowels and vegetables and the inside features the words Green Fingers!. Classy, elegant, and full of country chic charm, it will make a gorgeous addition to any kitchen, and is sure to bring life to every cup of tea or coffee. It comes in a smart and recyclable gift box, making this a great present for friends and family. 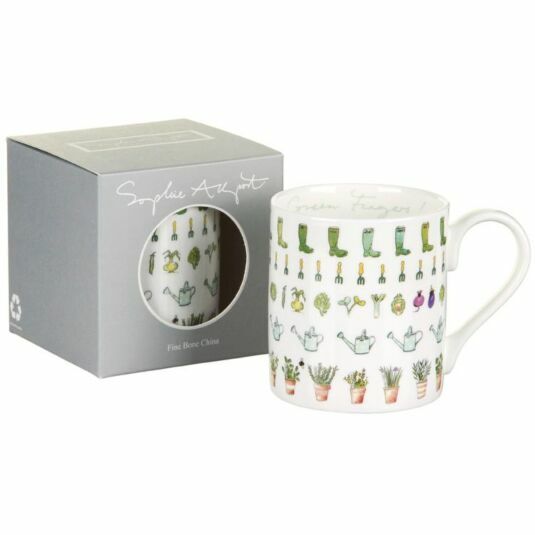 For that extra special gift, add a matching item from the same range, such as the tea towel or apron. This mug has a capacity of 275ml and stands at 8.5cm high. All the fine bone china, kitchenware and tableware are dishwasher and microwave safe. Here we bring you a collection of stylish kitchen textiles, oilcloth, tinware and fine bone china, each featuring Sophie Allport’s delightful illustrations. Whether you are an animal lover, or a fan of the great outdoors, there is sure to be a design which you will love.